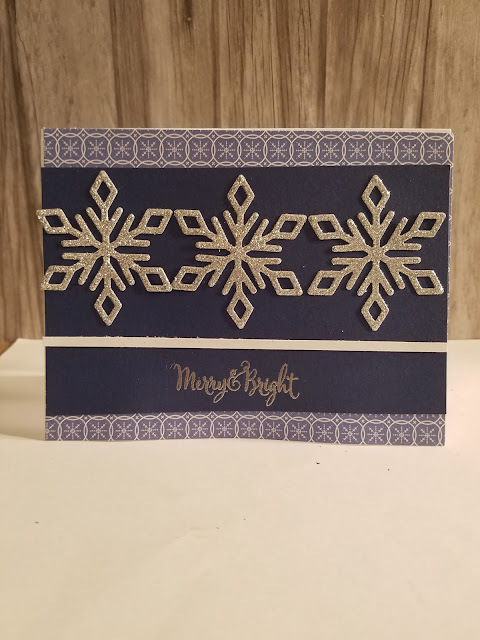 Day 2 of online card class Stretch Your Stamps 2. My favorite example was the one that used Perfect Pearls. I didn't have Perfect Pearls but I did have Pearl Ex pigment powders. So I stamped my background with Versamark and applied the Pearl Ex powders. I wanted to try to cover it with clear embossing powder but it was not sticky enough. I die cut a flag shape out of the front of my card. Then I die cut the word and covered it with 3 layers of versamark and clear embossing powder. Tomorrow is our 12th wedding anniversary so I had to make a card. 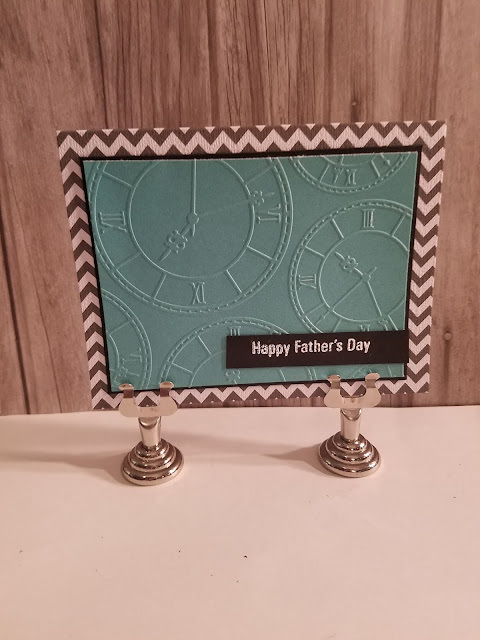 I love Pinterest, I got the idea for this card from this pin. The card came together really easy, jut some heart punches and a small flower punch. Easy peasy. Thanks for stopping by. Both super cute and cool cards!!! The background on the first one is totally rocking!! Love what you did to that Thanks - super sparkly and pops off the card!! 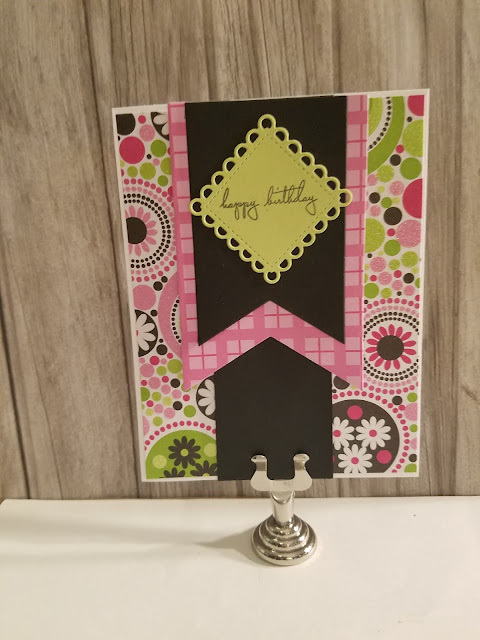 The second card is so sweet and simple and I love the extra touch of the border drawn around the card - so great!! Way to go - you really sparkle!! !